Fake Plastic Tunes: The Antlers Stream "Hotel"
The Antlers return on June 17 with Familiars, their full-length follow-up to 2011's Burst Apart and 2012's Underwater EP. The band has already streamed the album's first single, the elegiac "Palace". 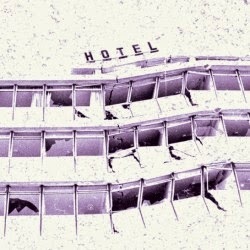 Now you can listen to the hypnotic and somber "Hotel". And if these two delicately mournful tracks are any indication, this won't be the feel-good summertime release from The Antlers that none of us were expecting. Stream "Hotel" now via SPIN.